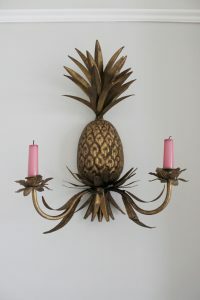 Historically the pineapple symbolised hospitality, when Christopher Columbus landed in the Indies a pineapple was left at the entrance to a village as a sign of welcome. 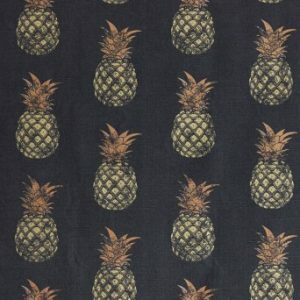 This symbolism spread to Europe and onto Colonial North America where it became popular to carve stone pineapples into the gate posts of your home. 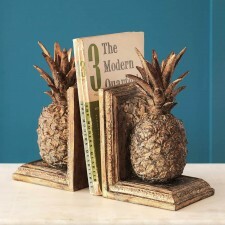 The Pineapple has become a very popular design trend this year and pineapples are appearing all over our homes. 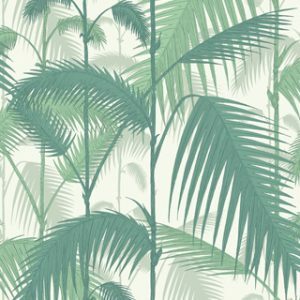 The trend for the exotic doesn't stop at pineapples; the fabulous wallpaper company Cole and Son have brought out a new collection called Ardmore. 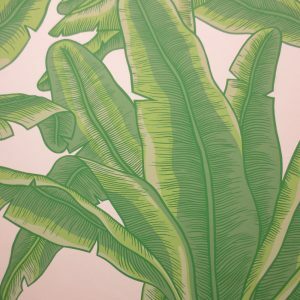 The collection is a collaboration with Ardmore Ceramic Art and celebrates African tradition and culture. 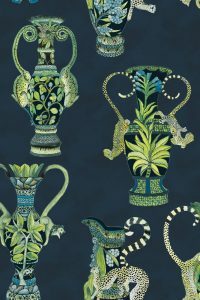 Visit www.ardmoreceramics.co.za to learn more about the stunning works of art that inspired the collection. 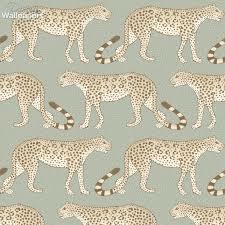 The tails of the leopards swishing left and right are inspired by the patters and rhythms of traditional Zulu dances. 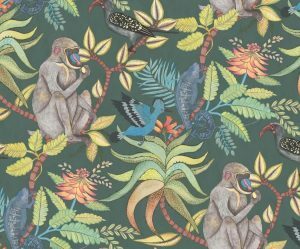 Khulu is the word for 'most important' which is apt for this glorious wallpaper featuring classical vases entwined with leopards, parrots and lions. 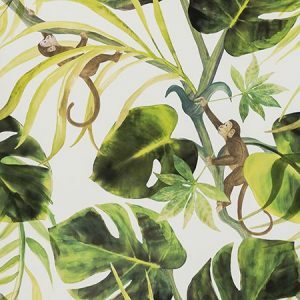 Savuti is one of Africa's most loved and well known national parks; where hoopoes and hornbills call and sing whilst baboons and chameleons sun themselves in flowering coral trees. 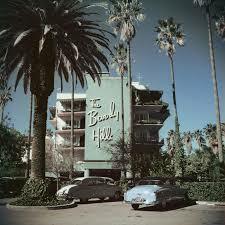 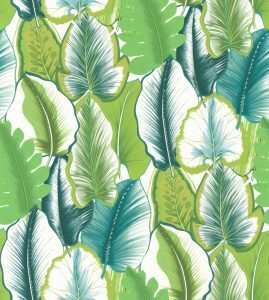 Tropical themes in interiors is not a new trend; The Beverly Hills Hotel in Los Angeles is famous for the iconic 'Martinique' wallpaper that decorates the Fountain Coffee Shop in the hotel. 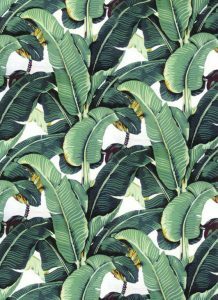 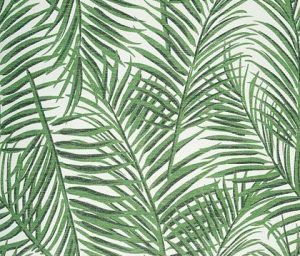 The distinctive design with its large bright green jungle leaves was created especially for the hotel in 1942 by the decorator Don Loper, with its glorious waving banana palm leaves it is probably one the most recognisable wallpapers in the world.